A day after PDP decided against fielding any candidate from the twin Lok Sabha seats of Udhampur and Jammu, its senior leader and MLC Firdous Tak Sunday requested the party high command to review its decision. 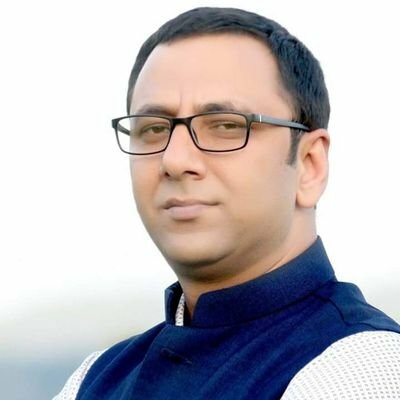 “I will not talk about Jammu constituency but as far as Udhampur constituency is concerned, we have filed a review petition before the party high command especially the parliamentary board, requesting it to reconsider its decision for the good of the people of Chenab valley,” Tak, who hails from Kishtwar district, told reporters here. Udhampur parliamentary constituency is spread over six districts of Kathua, Udhampur, Reasi and three districts of Chenab valley – Ramban, Doda and Kishtwar. On Saturday, PDP president and former chief minister Mehbooba Mufti said the parliamentary board of the party decided not to field any candidates from the two Lok Sabha seats of Udhampur and Jammu. “The opposition front is not functioning as it should have but we have taken a unilateral decision to not field candidates from these seats so that the secular vote does not get divided,” she had said. After the party’s decision, Tak said the party leadership in the region held consultations with civil society, non-political youth organisations and party organisation structure in different areas and it was decided collectively to make a request to the party high command for review of the decision. “We have logic and reason for our request…BJP, Congress and other parties have ignored this region in every election despite having a large population. “We are facing development deficit and even lacking basic facilities like roads, health and educational institutions despite the fact that both BJP and Congress enjoyed power after winning seats from the region,” he said. He said they are reaching out to the high command after accessing the ground situation and getting feed back from the people and “we are hopeful of getting a positive response form the party leadership”. In response to a question, he said all political parties are democratic institutions and “we are putting forward the demand of the party cadre and the electorate before the party democratically. We have every right to raise voice of dissent and inform the party of the ground situation”. The PDP leader said his party is not weak and has a chance to win the seat. “In the last parliamentary elections, PDP got 1.75 lakh votes in Jammu Lok Sabha seat, while it got 40000 votes from Chenab valley,” he said. Asked about the crackdown on separatists and razing of the illegal settlement of Rohingya’s in Jammu, he said both BJP and Congress are making Jammu and Kashmir a battle ground for the elections. “People are suffering here…When Prime Minister Narendra Modi extends hands of friendship to Pakistan, there is no issue but if PDP president Mehbooba Mufti talks about the friendship she is dubbed as traitor,” he said. He alleged that Congress, which is projecting itself as secular, is responsible for the present situation. “BJP had created an atmosphere in the country with regard to Jammu and Kashmir but the Congress is maintaining studied silence. What is the reason for banning Jamaat-e-Islami (JEI), JKLF, Balakote, border tension… both political parties are watching their political interests and are trying to make electoral gains,” he said.